Hi everyone I hope that you are all well and happy! 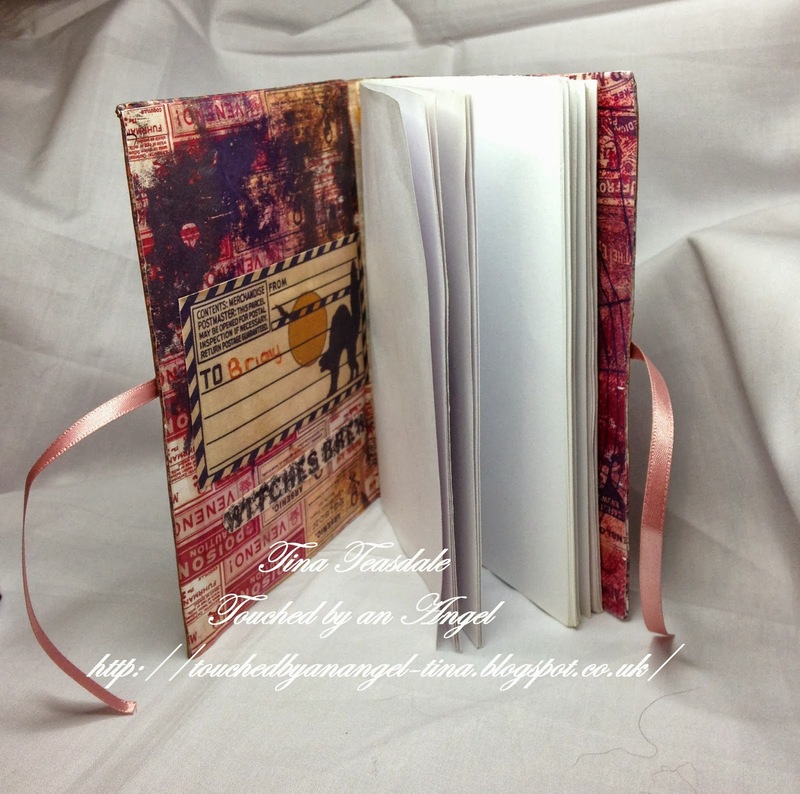 Welcome once again to my little bit of blogland. Its challenge time over at Tsunami Rose and we the design team have have had some fab printables to work with designed by Daisy Collins owner/ designer of Tsunami Rose. Today I have to share with you all a little notebook that I have created using papers and elements from the Witches Brew Printable Journal range and I hope that you like it! 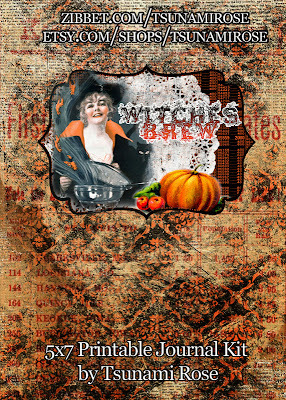 Base: Corrugated card from a box covered on the front, back and inside covers with papers and elements from the Witches Brew Printable Journal papers, elements from the Witches Brew Title Labels and Witches Brew Ephemera and samplers. I then covered these twice with Modge Podge and left to dry. Embellishments: Card Candi, Ribbon, gold thread from my stash. 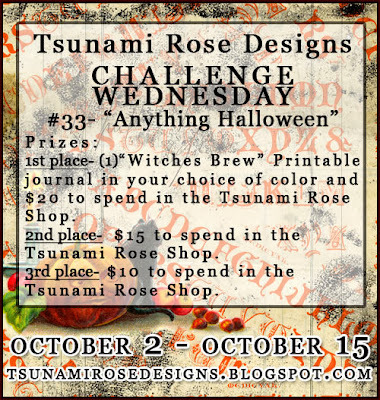 We love to see what you create for the challenges over at Tsunami Rose so please do pop on over and enter the challenge for your chance to win one of the amazing prizes that are on offer. 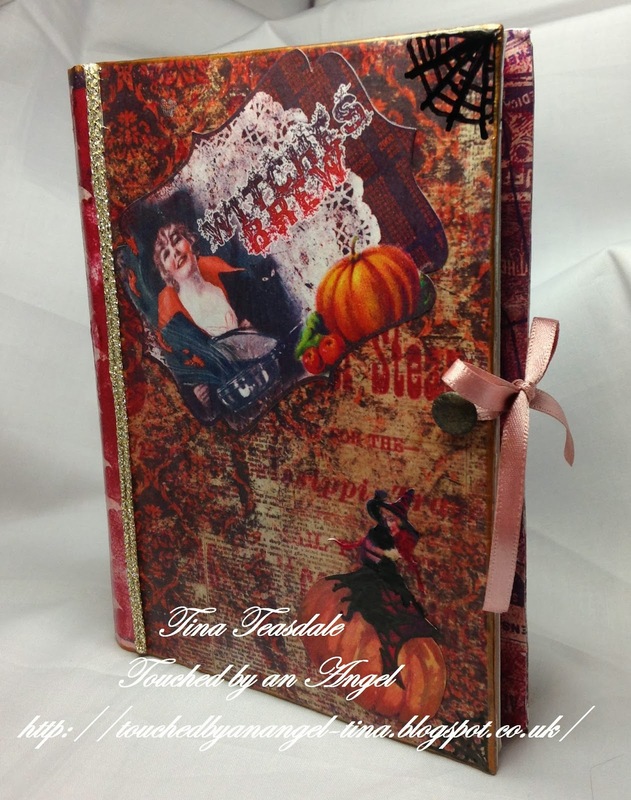 Also pop along to the Etsy or Zibbet store and have a browse around all the scrummy printables there not least the Witches Brew printables that I have used to create the notebook for this post! 600 Blog Follower Giveaway- less than 40 followers away!